Join a KUVO Club Today! $25 a month or $300 annually – Studio Club: receive invitations for you and a guest to all in-studio performances in the Phyllis A. Greer Performance Studio at KUVO. $50 a month or $600 annually – CD of the Month Club: a specially selected new CD will be delivered to your home every month. Click here to view previously featured CDs. $100 a month or $1,200 annually – Music Producers Club: receive both Studio Club and CD of the Month Club perks. Music Producers Club members will also receive special invites and tickets to select local shows. $125 a month or $1500 annually – Music and Wine Club: a specially selected CD and bottle of wine will be delivered to your home every month. Initial delivery includes two KUVO wine glasses. Click here to support KUVO with a club membership or call (303) 620-5794 to set up your club membership over the phone. 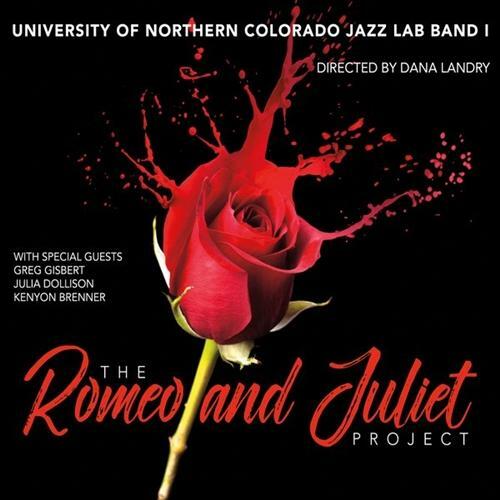 June CD of the Month Selection | UNC-Greely Lab Band I: "The Romeo and Juliet Project"
Colorado’s Front Range, from Fort Collins to Colorado Spring is fortunate to have an abundance of marvelous jazz musicians and an amazing array of jazz education programs with highly qualified instructors. One of the brightest spots on the map is the University of Northern Colorado at Greely which boasts an excellent faculty and talented students. Their annual jazz festival brings some of the most prestigious names of jazz to conduct workshops and play alongside the students and faculty musicians. 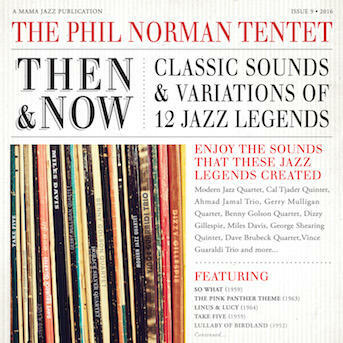 October CD of the Month | Phil Norman Tentet: "Then & Now"
October’s CD of the Month selection reflects the Autumn season as like the multi-colored leaves and unpredictable weather, Phil Norman Tentet’s Then & Now has many layers to its content. Saxophonist, clarinetist, band leader, producer Phil Norman moonlights as a financial advisor for several Los Angeles based radio stations. 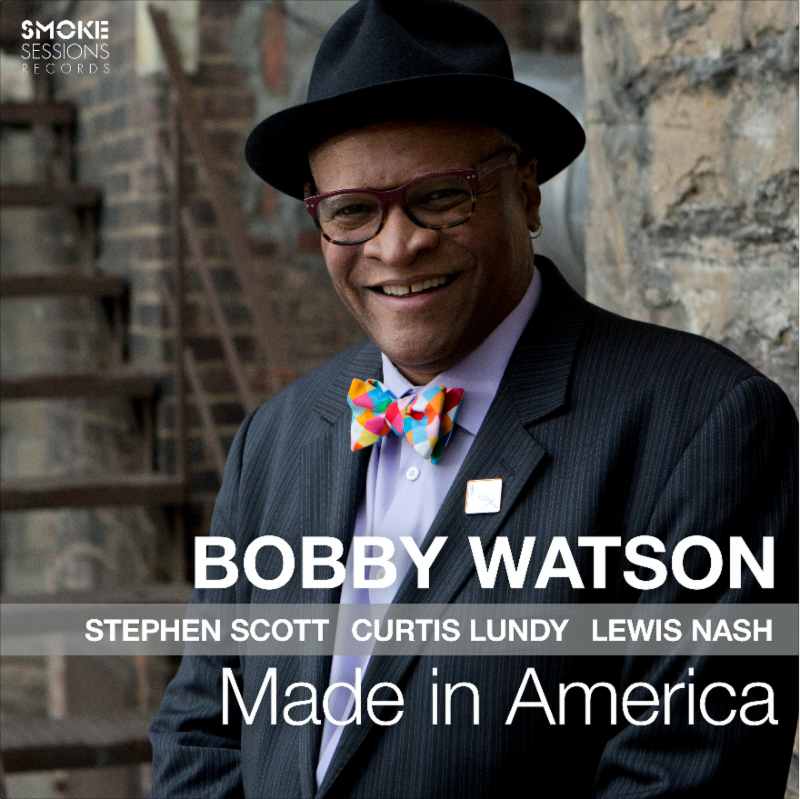 July CD of the Month | Bobby Watson All-Star Quartet's "Made in America"
Bobby Watson is one of the most accomplished saxophonists and educators of the last 40 years, rightfully so, because Bobby was born and raised in one of the most fertile and important areas for jazz in the US, Kansas City. After graduating from the University of Miami in 1975, attending at the same time as Pat Metheny and Jaco Pastorious, he relocated to NY and rapidly became the music director of the prestigious Art Blakely and the Jazz Messengers, a position he held until 1981 when he left to form his own band, Horizon.